The Future is Here Pt. 1 of 3: Virtual Reality, The Beginning or the End of Society as We Know It? “Whoa!” That was the famous word Keanu Reeves said when he discovered the alternate reality of The Matrix back in 1999. Of course, as we learned in the movie, Keanu was stuck in a false reality. His senses were tricked into believing he was on Earth, when in reality an alien planet was living off his body and sending false signals to his brain through some creepy cord connected to his head. It was an apocalyptic, futuristic take on virtual reality, a concept that has been featured in many science fiction films. 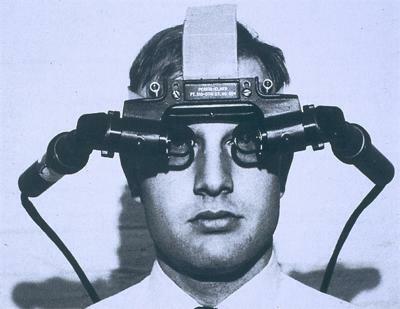 The origins of virtual reality date back to 1968 when Ivan Sutherland created a wearable headset to simulate being in a wireframe polygon room at the University of Utah. Starting in 1966, Thomas Furness spent over two decades at the Wright-Patterson Air Force Base developing the virtual reality environments for pilots to train in. In the 1990s, movies like Lawnmower Man and Disclosure, made Virtual Reality look like it was about to enter the mainstream. By the mid-1990s gaming companies Sega, Atari and Nintendo had all invested heavily in Virtual Reality focused games, but the Virtual Reality hype quickly fizzled when all of their prototypes failed. Nintendo managed to get two of its products in the marketplace, the Power Glove and Virtual Boy, but they had awful sales and caused a virtual reality bust. The possibilities of virtual reality have only reemerged recently with Oculus Rift, a VR headset company that Facebook bought for $2 billion in 2014. LucasFilms is currently marketing Star Wars: The Force Awakens with a Google Cardboard virtual reality experience called Jakku Spy and even the New York Times is embracing it. But what is it? How does it ‘trick’ our brains? How can it be used for social good? In this lesson make your own VR headset and get in on the ground floor in figuring out how VR can change the world. Learning Objective: Students will gain a basic understanding about Virtual Reality (VR) and look at how it works technically and also explore its social impact.